Located in an area known as the �Pine Barrens� because the branches of the dense, virgin pine trees interlaced so tightly that they almost blocked the sun�s rays and prevented the growth of ground vegetation, Colquitt County was formed from Thomas and Lowndes Counties in 1856. The county was named for Walter T. Colquitt, a Methodist minister, Georgia�s most successful criminal lawyer, and a state senator. The 1860 Federal Census listed 1,360 residents in the county�s 547.5 square miles. Set up as a buffer zone between the Seminole Indians of Florida and the Lower Creeks of Georgia, the area was considered by some members of the Georgia Assembly as �practically useless� and not worthy of state expenditures for road construction. From this inauspicious beginning, Colquitt County has grown to be a leader in agricultural, industrial, military, municipal, educational, historic, and artistic endeavors. 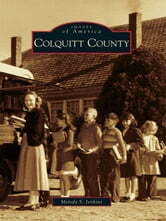 Colquitt County continues to be a leader in all aspects of community life, from the early days of logging, naval stores, farming, and livestock production, to modern advances in education, manufacturing, agriculture, and the arts.